As I was preparing to leave my office at the close of a busy day, my phone rang. A gentleman asked if he could speak with me about the recent loss of his dear wife. His anguish was heartbreaking and as he recounted his experience and emotions to me, I was impressed in so many ways by the depth of his love for her, his devotion to her, his ability to evaluate his spiritual reliance on her, his awareness of his emotional wound without her beside him, his ability and willingness to express his loneliness and fear of life without her by his side, and his desire to openly seek assistance. There were so many impressive attributes expressed during our conversation, that when it was over, although I remained worried and deeply saddened for him, I was comforted that he was on the right track for recovery. A loved one’s death is overwhelming. Prior to your loved one’s death, you understand that you love that person deeply; however, you may not realize that without that person, your life is barely manageable; barely maintainable. Upon the other’s death, your life is suddenly in danger as well. Your life is filled with turmoil. Disorganization rules every aspect of your functionality. Indeed, at times, your will to live may be called into question. These are very frightening facts. Moreover, upon the death of a significant loved one, someone with whom you have been married for decades upon decades, with whom you have created generations of descendants, with whom you have established reputation, successful business, wealth, and happiness; these facts do indeed become burdens of distress, that if not properly managed will end your life. The gentleman caller on the other end of my phone understood the gravity of these issues and wanted to understand and apply the remedies for them. Unfortunately, the only quick fix for grief is to be a shallow person – a person who does not love others. To be this type of person is undesirable. To live this type of life is empty and lonely. For my caller to swiftly recover from his wife’s death, he would have to forget about the many wonderful years they spent together, the trials they conquered together, the foes they battled together, the fears they triumphed over, their accomplishments, their setbacks, their hardships, their disagreements, their makeup’s, their holidays, their illnesses, their recoveries, the births of their children and grandchildren, the accomplishments of their children and grandchildren, and the list continues. These are things this man would not give up if his life depended on it, and at this point, it does. These experiences that have built his life with his wife, strengthened his resolve to be her eternal companion and solidified his love for her are exactly what have caused his grief upon her death. They are also the exact same experiences that will save his life and cause his recovery as he begins to reorganize his existence without her by his side. Day by day, he will understand more and more that these sweet memories are what get him through his days and allow him to keep breathing. Although his heart is momentarily rent in two, these memories that he sees as reminders too painful to recall, are slowly turning into bandages that will spiritually bridge his existence to that of his wife’s beyond the veil. As he opens his heart to celestial infusion, he will realize that his wife’s love remains with him, that she has not and will not forget him, and that she awaits his arrival with the greatest anticipation just beyond his view, but never beyond his reach, in that glorious place called paradise. And that one day, they will reunite where families are forever, where love is eternal, and where the trials and sorrows of this life will become cherished memories. My name is Tracy Renee Lee. I am the owner and Managing Funeral Director at Queen City Funeral Home in Queen City Texas. I am an author, syndicated columnist, and certified grief counselor. 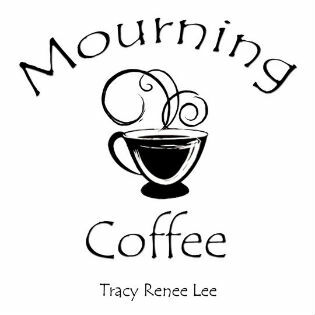 I write books and weekly bereavement articles related to understanding and coping with grief. I am the American Funeral Director of the Year Runner-Up and recipient of the BBB’s Integrity Award. I deliver powerful messages and motivate audiences toward positive recovery. It is my life’s work to comfort the bereaved and help them live on. "Changing lives one gown at a time!" “Formal Attire Required” is the words that hundreds of young ladies and gentlemen will hear as prom season rolls around and other “formal” events get into full swing. It’s that time of year again when parents open up pocket books and sigh at the cost of dresses. For gentlemen, they can often get away at a formal attire event with anything from a Tuxedo to a dark jacket and pants. The cost is usually a rental or the cost of a jacket from a local shop, but for the young ladies the cost can be much greater. Formal Attire for a young lady almost always means a dress, and not just any dress, it must be a formal gown. These dresses can range anywhere in cost from a few hundred dollars, up into the thousands. When our family recently purchased one, we found the average cost range hit about $350 to $700 for something nice. While most will charge, or purchase, and move on, the fact is some people simply cannot afford to push out big bucks on a dress that will be worn once, maybe twice by a young lady. The cost is too high and that means that some young ladies simply will not be able to attend the formal attire dance or event of a lifetime. Being unable to attend due to financial cost can, and often does, impact self-worth and self-esteem. A young lady may feel that she simply does not measure up to her friends as they purchase the new dresses. She can feel lost in the shuffle and left behind as friends get their dresses, make-up and shoes ready for the big event. The cost of a dress should never hinder a person’s once in a lifetime opportunity to be involved in prom and other formal events, and this is when Gowns for HER comes into the scene. Gowns for Her operates with one mission in mind – “To promote self-worth by providing formal gowns to young girls who desire to attend formal activities regardless of financial circumstances.” The group gathers gowns, shoes, and accessories through donations and provides them to young girls at no cost. According to Apolonia Pacheco, MSW, the founder of Gowns for HER, the group has a goal to “give away gowns to as many girls in need in the Ark-La-Tex and surrounding areas as possible.” The group also continues to collect gowns throughout the year along with other donations such as shoes, accessories, and even new make-up is accepted. A Giveaway even requires no ticket or fee. The group provides the services at absolutely “NO COST”. This year there will be two giveaways. The first will be March 8 and the second will be March 9 as follows: March 8, 2019 – 5p.m. to 8p.m. at the Couture Closet, 4038 Summerhill Square, Texarkana, TX, 75503 March 9, 2019 – 12p.m. to 4p.m. at Lakeridge Apartments Clubhouse, 3708 S. Lake Drive, Texarkana, TX 75501 People interested in the event, or interested in donating, can contact Apolonia Pacheco at 813-385-6273 or by email at Gownsforher@gmail.com Self-worth and self-esteem is most often started at a young age – if you are someone in need of a formal gown, or you child needs one to attend a formal event and you simply cannot afford it, reach out and attend one of the Gowns For Her events. Sometimes these formal events only occur once, but the memories will be there for a lifetime. It seems that there is always confusion during the arrangement conference when it comes time to order death certificates. When I ask the next of kin if they know how many they would like to purchase, I will usually offer an explanation about reasons death certificates are necessary. At this point, families will respond with a quick answer, or they will begin counting reasons that they do, or do not, need a certain number of them. A death certificate proves dissolution of a decedent’s legal claims on properties and responsibilities over debts. Therefore, anything that is legal, financial, binding, contractually consumable, or requires stewardship or ownership, requires a death certificate.